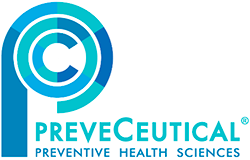 Health sciences company PreveCeutical Medical Inc. (CSE: PREV) (OTCQB: PRVCF) (FSE: 18H) this morning announced the arrival of the first shipment of dried cannabis flower and oils from Aurora Cannabis Inc. (TSX: ACB) (OTCQB: ACBFF) at the University of Queensland’s Pharmacy Australia Centre of Excellence. Per the news release, testing of the imported cannabis strains in the application of PreveCeutical’s Sol-gel drug delivery technology is now expected to commence. The impending Sol-gel program aims to develop a system that will increase the bioavailability of drugs through the use of an innovative nose-to-brain delivery platform. The company notes that Sol-gels could offer a number of advantages over conventional liquid nasal sprays, including sustained delivery and therapeutic effects, reduced dosage requirements and reduced irritation and other negative side effects. QualityStocksNewsBreaks provide a rapid summary of corporate news that catch the attention of QualityStocks. QualityStocksBreaks are designed to keep investors up to date on important and breaking news in the small-cap and micro-cap markets. Spanning all industries, including energy, entertainment, telecommunications, healthcare, retail and more, these news breaks deliver opportunities the investment community may have missed. Whether it is earnings results, mergers and acquisitions, or any other market-moving news, our news breaks keep you in the know. QualityStocks is committed to connecting subscribers with companies that have huge potential to succeed in the short and long-term future. It is part of our mission statement to help the investment community discover emerging companies that offer excellent growth potential. This entry was posted in PreveCeutical Medical Inc. PRVCF, QualityStocksNewsBreaks on March 29, 2018 by QualityStocks.